It’s lovely to see content we work so hard on finally go live and the appreciation from our clients is even better. But you know what tops it all, when it becomes award-winning content! 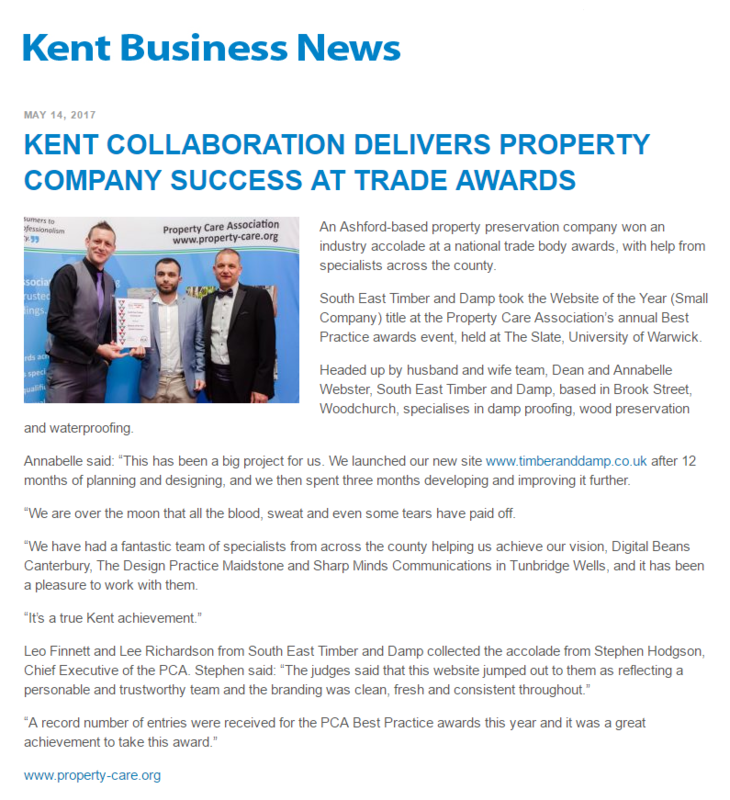 That’s exactly what we’ve been experiencing recently when client South East Timber and Damp won an award for best website. The award was the Website of the Year (Small Company) given at the Property Care Association’s annual Best Practice Awards. 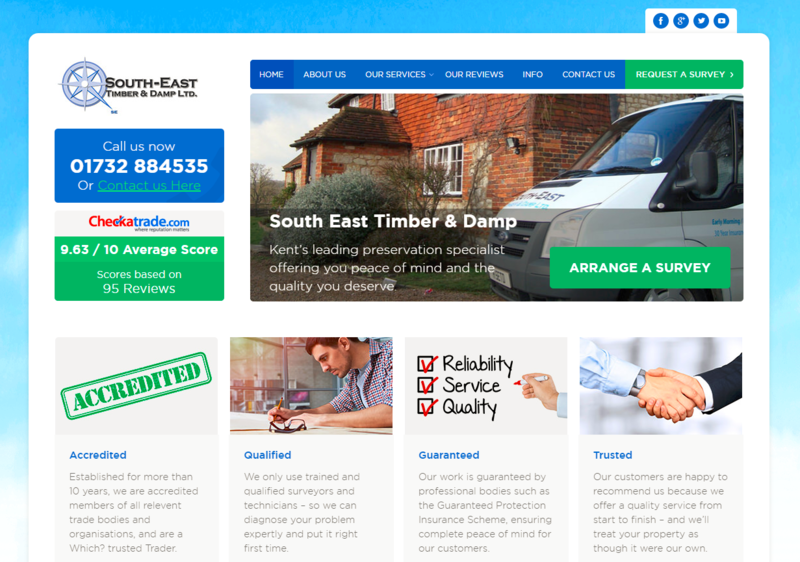 The judges said the website ‘jumped out’ from the record number of entries ‘as reflecting a personable and trustworthy team and the branding was clean, fresh and consistent throughout’ – exactly what we were aiming for! So, if you’re looking for award-winning website content, we’re here to help!